The OSI food process engineering teams bring a true global perspective to your business. 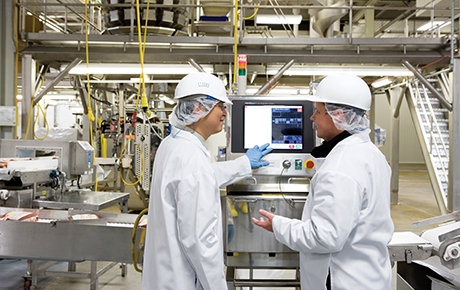 Our food process engineers around the world are linked to our network of regional offices and manufacturing facilities. The teams share both a world of experience and a common goal; to understand your needs and meet them with solutions that improve quality, streamline processes and cut costs. Our food process engineers work with the best equipment manufacturers in the world. And we’ve got the buying power it takes to bring you the latest technology at the best price. Our internal website tracks equipment and shares technology throughout OSI’s global manufacturing network. Our food process engineers don’t cut corners to cut costs. Instead, we find the most cost-effective ways to produce the products you need. So your bottom line will notice the difference, but your customers won’t.